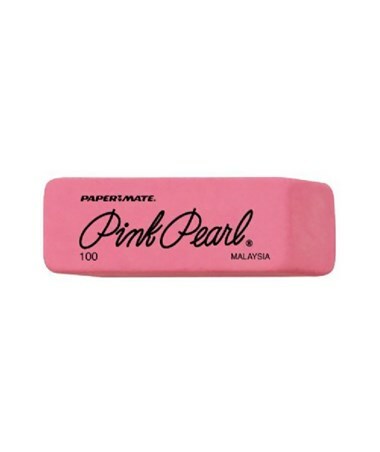 The Sanford Pink Pearl Eraser is a general-purpose eraser that removes pencil marks on most surfaces. 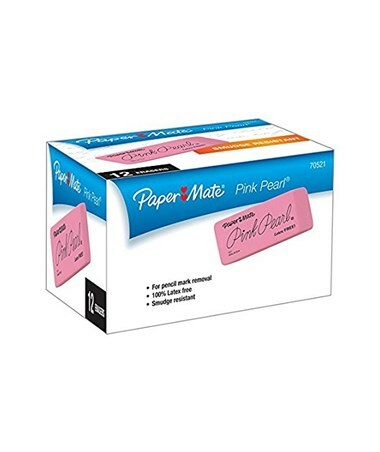 It is made of rubber material making it soft and pliable. 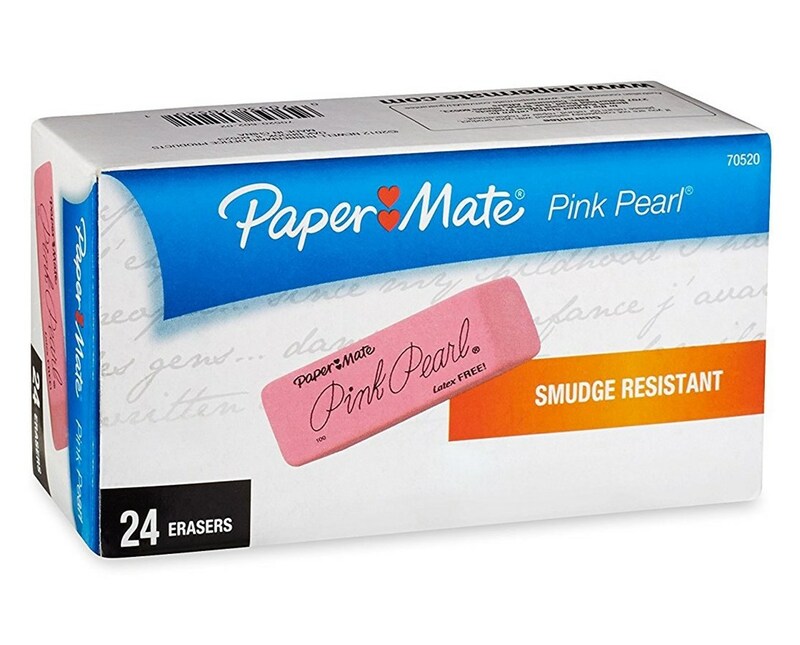 It erases without smudging and ensures clean and neat projects at all times. Beveled at both ends, it allows accurate and precise erasing. 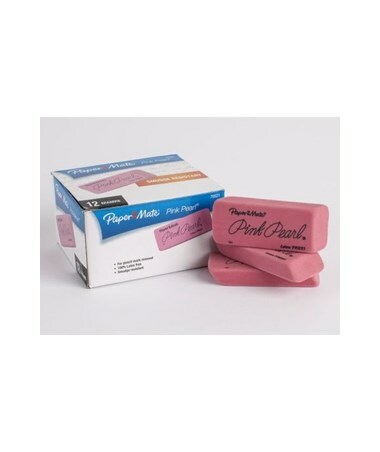 The Sanford Pink Pearl Eraser is 100-percent latex-free. 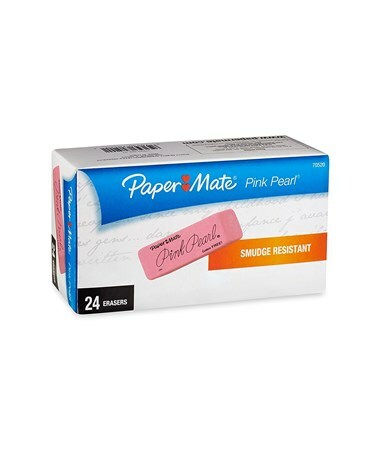 It comes in two different sizes—medium and large—to accommodate various erasing needs. 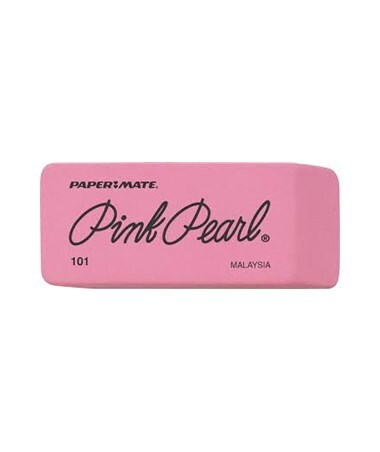 It is available in two package options: a box of 12 large erasers and a box of 24 medium erasers. 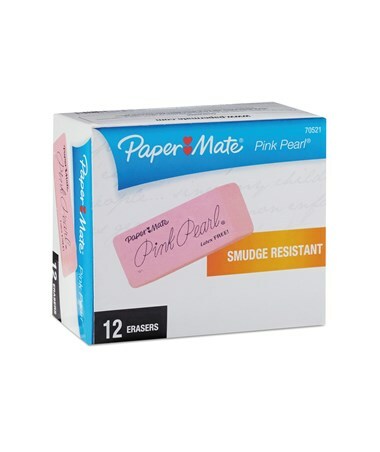 The Sanford Pink Pearl Eraser comes in two sizes and package options to suit different needs. Please select your preference from the menu above.